As you might know Guatemala is going through a social, economical and political unrest. Even tough I am an economist I do not enjoy writing about economics or politics so I really don't want to go on depth on this matter (if you want to read more, you can read a blog I like a lot: Carpe Diem, although most posts are in Spanish he throws some in English here and there). This post is to share with you, dear reader, that we attended the Vigil for Peace Saturday May 30th. This is one of various peaceful protests that finally are being organized, attended and supported by the guatemalan of no political agenda other than the desire of the cease of violence, impunity and corruption. The Vigil was at Obelisco, those of you who have been in Guatemala City undoubtedly passed by it. It is in the "four corners" of Zone 10, Zone 9, Zone 13 and Zone 14. It is a round plaza at the end of Avenida Reforma with a monument in honor of the founding fathers of Guatemala. At the activity we prayed, sang the national anthem, support and encourage each other and in general we build a sense of patriotism and of urge to find the means to be heard. This is not Guatemala but it is too good a picture and it was too great a time we spent with Alex two weeks ago, to not blog about it! Location: Lagerman Reservoir, Longmont, CO.
A Chico is a fresh, sweat, meaty and somewhat grainy fruit, maybe the consistency of kiwi but not citrusy. The peel is a little rough, but not to thick, thicker than a kiwi, thiner than avocado. The CHICO ZAPOTE can be seddless, meatier, less grainy and less juicy. The mayan name is Sak-ya and the tree bark is the substance Thomas Adams turned into chewing gum back in 1869. Every time I eat them they make me think of Los Chicos. This was a group of 4 kids equivalent to the Jonas Brother craze when I was growing up. They came to Guatemala once and my mom took my friends and I to see them. We screamed, cried and sang at top of our lungs with them. You might recognize one the band members: Chayanne. Guatemala was and to some extent is still is a Banana Republic to the full extent of the term. Bananas are not the main export any more and plantations are no longer in the hands of the United Fruit Company but it still is an important part of Guatemala´s exports representing 5.9% of its exports contributing to 7% of the world production. Bananitos de Oro are small bananas, they can also be found in the US now, but I am not impressed with the quality. In Guatemala now they can be found in stores at well and again I am not impressed with their taste, plus they tend to be bigger. The good ones are the ones sold by street vendors or at the market, I think because they need to be cut ripe to have a good flavor thus not good for the supermarket life expectancy needed. The taste is a lot richer (in a creamy way) and sweeter than bananas and seems the smaller they are the better. I supposed is like a concentrated taste. The picture below is from store bought bananas, I will go to the market one of this days and buy some good ones! You all know what an Aguacate is: Avocado. Aguacate trees are commonly found in Guatemalan house the one below is one that flow over from the neighbors house into my parents house. Unfortunately they really are not that good, they are 'pitudos', 'stringy'. The picture below is of a special tree. This house, now Ceci´s and Fredy`s, was once home to us, this was probably my favorite house after the one in Baldwin City KS. As you can see aguacate trees are also good for climbing. What I consider the Guatemalan guacamol is. PS. Answer to the riddle: El Aguacate. August 20th last year, the US team played Guatemala on the first round to qualify for the World Cup. I was in Guatemala and Tom came that day at noon. I was so absorbed in my projects I had not realized this was going on in time to buy tickets, so in a last minute explosion we decided to scalp tickets. We paid Q400.00 for Q250.00 tickets (about $50.00 a piece). There is the version of tailgating. Usually you get dropped of because there is no parking. The street around the stadium are closed an the street vendors take over. You can buy scarfs, bandanas, flags, you name it. You can eat meat in tortillas with a cold beer, tostadas, etc. Tom was probably the only 'gringo' going for Guatemala and according to many of our friend crazy enough to go to the stadium, since it was considered a by the FIFA a High Risk event. The game was at Estadio Mateo Flores which seat 30,000 people 29,600 going for Guatemala and no more than 400 extremely brave americans, secluded to a very protected area! My husband, who was born in Germany, was ready to say he was German if anybody asked. I won't say the score (because that is irrelevant to the story :)) but from the eyes of my husband what impressed him the most was to see 29,800 swearing in unison during most of the whole 90 minutes. At first I was very embarrassed but then it became a joke because by the end of the game when hope was lost the fans turned back on their team and started now swearing at them so I told Tom, "see, don't feel bad it wasn't personal, everyone was at some point of time reminded of their mothers"
Going to see a soccer game is not a thing for everyone, but it is a very folkloric event. I don't have pictures because I was afraid to take the camera so the one picture is as we were leaving the house. I have not posted regularly the last weeks because I have been traveling and in some emotional distress. I picked up a booked that attracted me for the title it is called a half empty heart, that illustrates very well the state of being not only in pain but with pessimism, and my saint husband putting up with me! We got Dante on January 2003, so as Megan always points out she is not the youngest in the family Dante is! In December 2003 we decided to move to the US and sure enough we had to take Dante. We didn't take him immediately because we weren't sure if we were going to have a place to have him, but then once we got settled in we came back to pick him up. Then comes the tricky part which we didn't know. 5. You show up at the airport all the family packed, Dante in the crate, ticket paid, now they need to verify the temperature in the landing airport if it is above 100F they won't take it. We were going to Dallas in August.... Fortunately they check the weather at the time the flight leaves: 7:00 am so it was only 90F! 6. Arrive at Dallas and hope the plane doesn't have to taxi too long or it can be fatal to the dog. 7. Get off the plane, go through passport check point, then luggage claim. There we kept waiting for the someone to show up with the crate, when nothing happened we started getting nervous. 8. We actually had to first clear customs and I guess Dante didn't so they were waiting with him already at the end of the whole process. 9. Since they won't do connecting flights with dogs. Tom drove from Kansas to pick us up at DFW to then drive back home, then in Baldwin City, KS. Beside being so sweet and patient with kids, Rodrigo Diaz, at the age of 20 was one of the 18 participants of Guatemala to the 2004 Olympic Games in Athens. In 2005 he participated in the World Aquatics Championship in Montreal, Canada. Rodrigo started his swimming career at a very young age and has amassed several medals, one the them being the Gold Medal at the Central American Games where he also set a new record for the region. He is retired from competitive swimming and is now dedicated to his engineer career and to his girlfriend (my friend's sister). We are lucky to call Rodrigo our friend! In the pictures my girls having a blast with Rodrigo. There is golfing in Guatemala, gorgeous golfing if I may add. To those of you who have been to Guatemala you can only imagine the settings of the golf courses. Our friends Fredy and Ceci are the ones who inducted us into Guatemalan Golf. Fredy is a former president of the Alta Vista Golf an Tennis Club Members Association and one of Guatemala's best golfers (for his age, jijiji - just kidding Fredy!) Fredy is also, as far as I am concern, the best Pediatrician in Guatemala. We have played in Alta Vista and San Isidro, both gorgeous. Alta Vista is all nature landscapes and San Isidro has some outstanding views of the city. I have not golfed in Hacienda Nueva but have attended several events there. For the tourist this might be the most attractive since its arquitecture is Spanish inspired. Below are some pictures of Alta Vista since it is the one we were members of and we still attend sporadically. The Club house; Nicole taking golf lessons; Ceci, Tom, my dad and I attempting to play! On Tom's recent trip to Guatemala we had a beautiful night out with our dearest friends Fredy and Ceci to the Casa Yurrita Bistro. The experience delights the palate, the eyes and the mind. The restaurant is located in a historic landmark of Guatemala city, the house of Don Felipe Yurrita that elegantly stands next to the Chapel commonly known as "Iglesia Yurrita". "In 1902 the eruption of the Volcan Santa Maria consumed various towns and coffee plantations in El Tumbador, San Marcos. Don Felipe Yurrita, coffee grower, gave shelter to all his workers in the coffee warehouse. For four days the all shared the shelter bearing the strong smell of sulfer and of the smoke that came from the wood they lit up for illumination. They drank water from a single basin the jolously took care of. The men took turns sweeping the ashes from the roof top so that it wouldn't colapse. As the days went by Don Felipe worried about a fatal ending surrender his destiny to the Virgen de las Angustias, venerated in Arevalo, a town in Spain were he was born. They all prayed and offered that if they were to come out alive he would build a temple in her honor. After four days the eruption subsided but left behind 3 meters of accumulated sand on the soil, making it unusable. They again turn to the Virgen de las Angustias and then came a 3 month precipitation that cleaned the earth from sand and ashes preparing the soil for the best harvest the plantation has ever given. Between 1921 and 1928 Don Felipe built Villa Carmen a weekend retreat, today Casa Yurrita, where he lived while designing, creating and supervision the construction of the Chapel of our Lady of the Anguishes. The construction lasted from 1928 to 1941. Six month after its completion Don Felipe Yurrita passed away. Today, Patrick Bejot, greatgrandson of don Felipe Yurrita, opens a restaurant to help preserve this family and national patrimony and to share with its visitors this astounding arquitectonic artwork." The evening was fantastic, since there were no vegetarian dishes on the menu, Patrick offered to make adapt some of the dishes and made us an off the menu entree. We started with a potato and leek soup, then a mushroom carpaccio and as a main dish Moroccan cous cous. Our friend had fish entrees and we all enjoyed a bottle of white wine. At the end of the meal we had a long visit with Patrick. We talked about the history of the place, the furniture and pieces of art in it, about his life, about his family and its relevance in the history of Guatemala, etc. I plan to go back for lunch so I can take pictures with daylight and be able to also stop by the church. I don't think I've ever been inside the chapel, my dad tells me it is beautiful. Growing up, he was an altar boy to the bishop and served in Iglesia Yurrita a couple of times. Here are some pictures of the house, the food and our host. 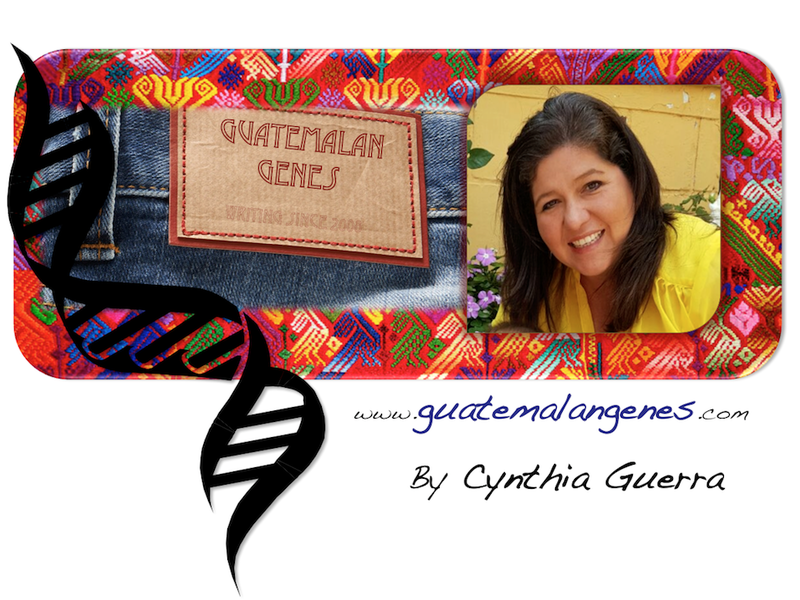 The intention of this blog is to describe and promote Guatemalan culture and folklore, so even though there are so many political and social issues that are of great concern I have chosen not to blog about them. Today because of this terrible time of time of turmoil guatemalans' are going through I decided to bend the rule a little bit and mainly ask my Christian readers to keep Guatemala on their prayers. There is Mother's Day also in Guatemala although we know Mother's Day is everyday! The date is always 10th of May regardless of the day. Established by the Congress of Guatemala in 1968, the law gives mothers the right to a day of no work with pay. Some that have been following know our older son we adopted when he was eight. I don't have to explain to my adoptive parent readers that this is a call of love from God and we surrender to his will. Some readers have timidly asked me to share about him since their kids are young and mine is 19! I have hesitated because whatever I write I only want to be taken at face value not as norm or something to expect. There are many joys and sorrows children bring to parents most of the joys and none of the sorrows given on purpose, however that is life: day and night. We knew not having been able to provide Alex with the nutrient love and security of the first years in life was going to represent an emotional handicap which we embraced with therapy, prayer and abundant love. Alex no doubt loves us back deeply but he still is working on accepting love and allowing himself to have true joy. It can be hard to find yourself worthy of unconditional love when you are so aware that your biological mom's love wasn't and to be able to be joyous about life when you have seen cruelty's face. It says Happy Mother's Day. Thanks for backing me up on everything. And he also sent this. It was probably easier to stamp that to write and that totally OK. HUGE for us! These are the geckos that live in my parents house in Guatemala City. You don´t see them that often but you know they are there because of their loud distinctive sound. It happened about two years ago that my parents started hearing a loud, a mix of hissing and stomping, sound. To give you an idea of the sound they started looking in the yard for an animal the size of a rabbit at least. Nothing turned out until one day some friends came over for dinner and our friend Jorge heard the sound. Jorge used to work directing a construction crew in the tropical area along the pacific coast and immediately identified the sound to a gecko. Once we knew what to look for my parents were finally able to start spotting them. They are sneaky fellows! Later we learned that they have been heard in neighboring houses. My dad sustains that they brought the first one(s) as stowaways on a trip they made to a friends ranch on the region the geckos are native to, but the neighbors claim it was them who introduced the species on a trip they made to participate in a triathlon along the coast. However the story went, what we know is that we are all giving room and board to them and in return they are eating mosquitos and other small bugs for us. EL DIA DE LA SANTA CRUZ Y EL DIA DEL ALBAÑIL are celebrated in Guatemala on the 3rd of May. The day of the cross is a Spanish-Catholic tradition that started on the 16th century and was brought to America by the conquistadors, therefore celebrated in Spain and countries conquered by Spain. This celebration includes decorations of crosses and processions. When it comes to procession, you know Guatemala will have them! The most relevant one takes place in Lake Amatitlán (not Atitlán), 29 Kms south of the city. The procession is a very unique one since it travels on the water and is accompanied by people on boats. In Guatemala and México de Day of the Cross is mostly brought to mind by the linked celebration of the Construction Worker. The construction workers mark the day building and decorating a cross which they display at the construction site during the coming week. Cross on a construction site in Pamplona, Guatemala City.